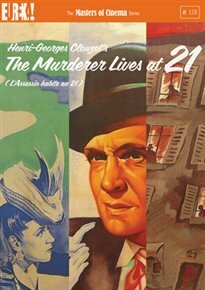 Special Blu-ray and Dvd Editions of MURDERER LIVES AT 21/L’ASSASSIN HABITE AU 21 by Henri-Georges Clouzot released. help from his struggling-actress girlfriend Mila (Suzy Delair). Featuring audacious directorial touches, brilliant performances, and a daring tone that runs the gamut from light comedy to sinister noir, as well as a subtle portrait of tensions under Nazi occupation, this overlooked gem from the golden age of French cinema is presented in a beautiful new high-definition restoration. In French Language with English subtiltes.